All year round chalet. 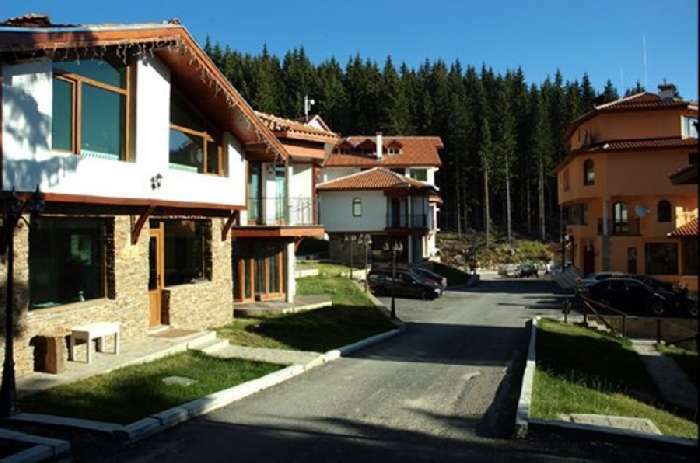 Close proximity to ski slopes in Pamporovo & great countryside for walking & exploring. 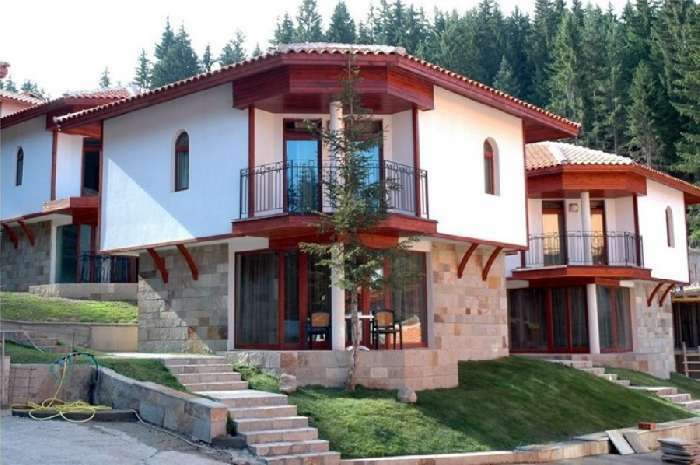 Forest Nook is a fabulous complex of ski chalets located just outside the popular ski resort of Pamporovo. 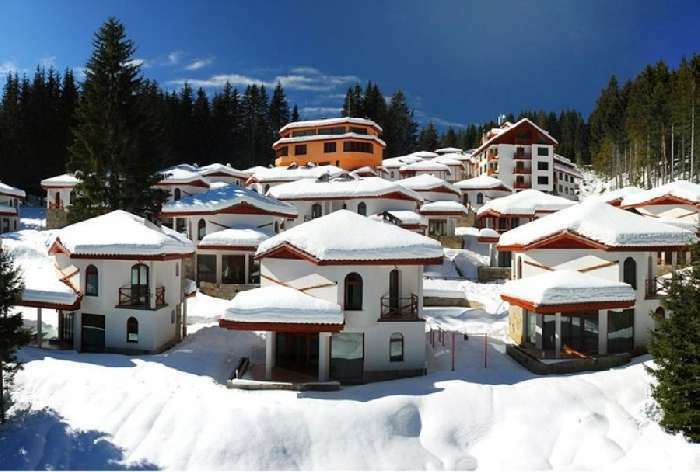 The complex is built like a little village in a quiet area away from the hustle and bustle of the town centre yet still less than 2 km from the ski slopes. 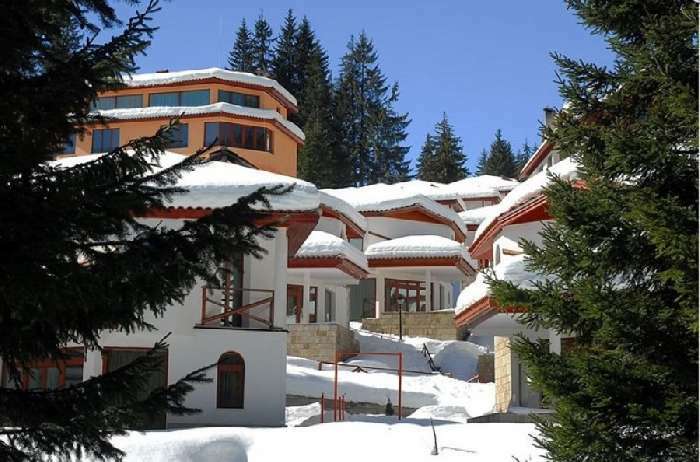 Although Pamporovo is primarily a winter resort it is also a beautiful area to visit during the warmer months with many activities available. 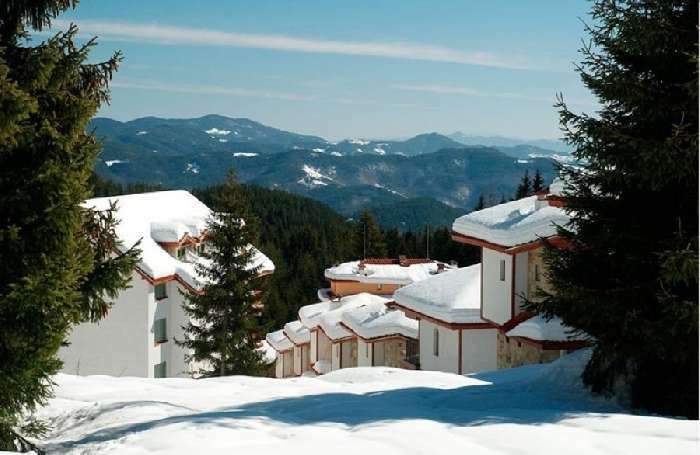 This ski chalet for sale in Pamporovo has 119 sq m of living space and is fully furnished to a high standard. It has an open plan lounge with sofa bed and dining area, a fitted kitchen, a double bedroom, twin bedroom and 2 shower rooms. 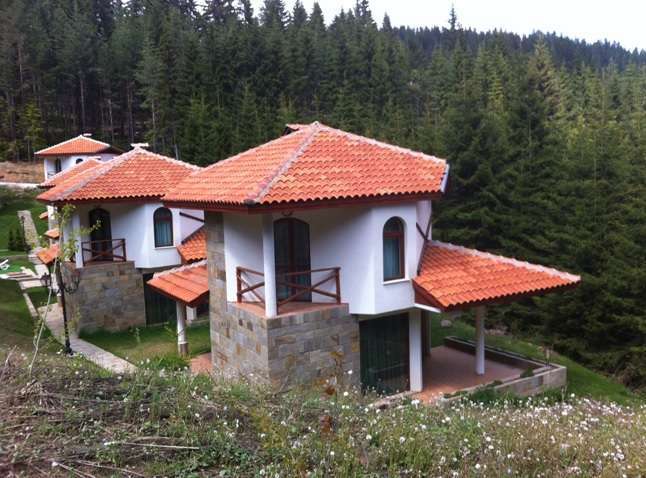 From the front terrace, there are lovely views looking downhill over the mountainside and forest. 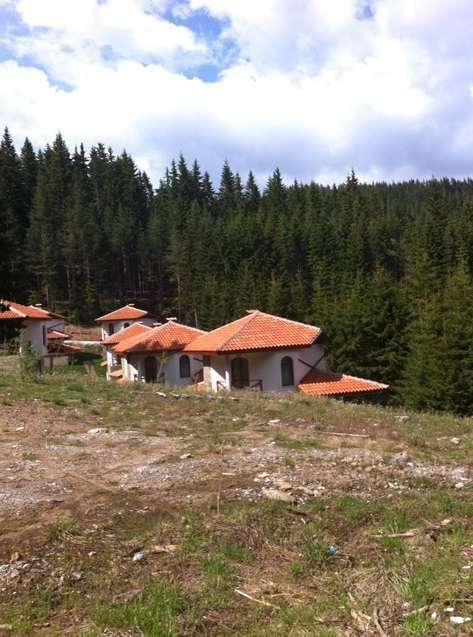 The property will sleep 5 people comfortably and has great rental potential. 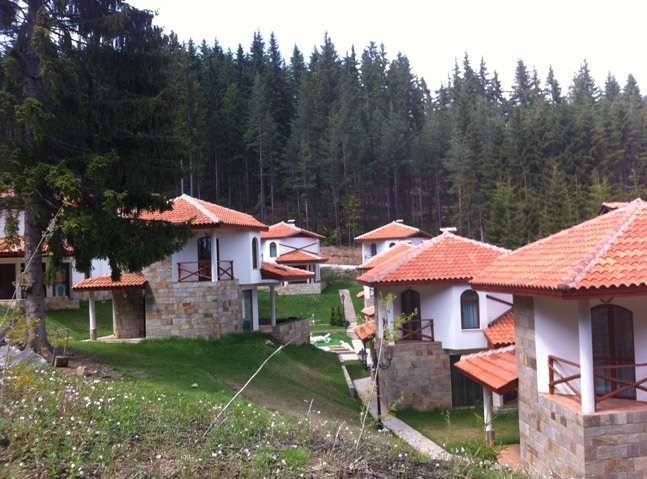 There are many great shops, cafes, restaurants and bars in Pamporovo town which is a 10 min drive from Forest Nook. The ski slopes are dominated by the Snezhanka Tower which is accessed via the chair lift from the mid-station ski area. Here you can organise skiing lessons and hire ski equipment, ski-doos and book husky sledge rides. The ski runs are maintained to a high standard and there are more than 100 highly qualified ski instructors, fluent in different languages, to teach both beginners and intermediate skiers and snowboarders alike. Pamporovo is probably the best place in the world to learn to ski. 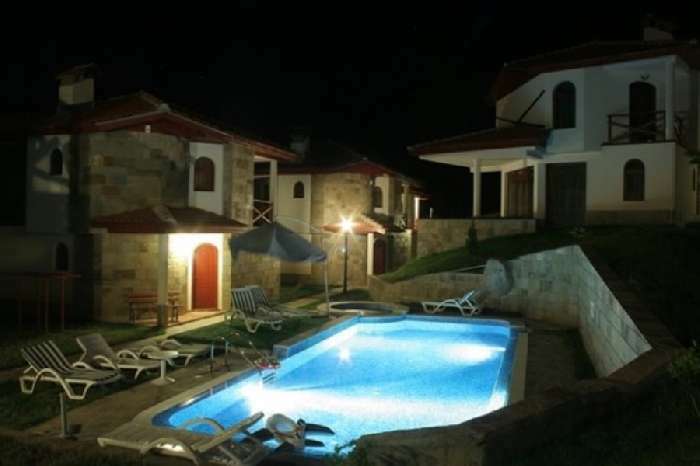 During the warmer months of the year there are lots of activities for the whole family including nature rambles, mountain hiking, paragliding, paint balling, horse riding, golfing, hot springs spa therapy and trips to the Observatory or you can just relax by the pool. 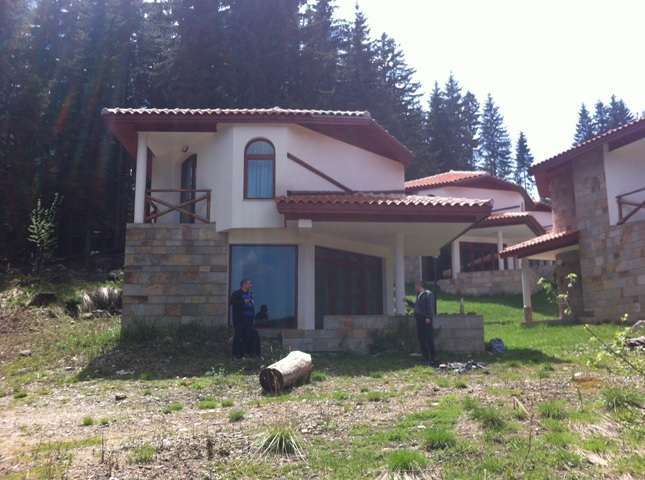 A great investment property to buy in Bulgaria with fantastic rental potential all year round!! Fully furnished including a sofa bed, dining table and 4 chairs, 1 double bed, 2 single beds and a wardrobe.